The most prominent aspect of Roseville is its high concentration of shopping. 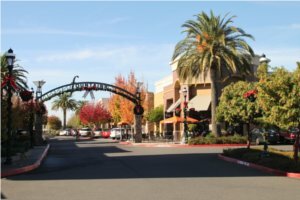 From the Westfield Galleria and The Fountains to the many plazas of Douglas Boulevard, Roseville features many different types of shopping experiences ranging from locally-owned stores to chain retailers. The most expensive areas to live are on the eastern side, bordering Granite Bay, while the most inexpensive areas are generally near Highway 80. Downtown, also known as The Heart of Roseville, is the best area for those that prefer walking to driving. The city has lots of unique spots such as cute coffee shops such as the Shady Cafe, entertainment at the historic Tower Theatre and tasty bites at the Vernon Street Grill. The neighborhoods in this area are generally moderate in price and size, though have a distinctive historic feel. Also, just across the train tracks is Old Roseville and its unique neighborhood of bars and restaurants, perfect for those that are looking for some great nightlife in the area. The area is comprised of various demographics. From families, retirees, college students, singles, professionals, and commuters to the state’s capitol, you are certain to meet a wide variety of people from different backgrounds. As such, there are many different type of apartments for rent available in varying qualities and price ranges. If you are a student attending Sierra College, you can find many cheap apartment complexes with studio apartments (some with utilities included) along Sunrise Boulevard. Downtown is full of homes for rent and houses for rent by local property managers and landlords. Further down Douglas Boulevard on your way to Granite Bay is where you’ll find the newer, luxury apartment complexes with upscale amenities for premium prices. To view all options, try using RentLingo as your apartment finder. We’ll show you which apartments are the best with our apartment reviews and ratings before you even have to visit. Living here grants residents equal access to city entertainment, suburban ease, and country fun. Downtown Sacramento is only a 20 minute drive while Auburn is 20 minutes the other way. So, if you are feeling like seeing a Broadway production at the Convention Center or if you are looking for a day at the American River (pet-friendly adventures await) beneath the world famous Forest Hill Bridge, both are equally practical. 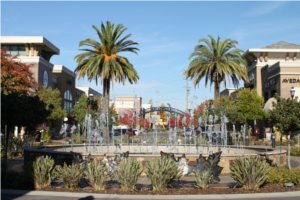 Roseville offers convenience and a relatively cheap cost of living for one of the safer, most family-friendly areas in California. If you want to live here, use our apartment guide for your apartment search and you’ll be able to find all the unique deals on townhomes for rent, studios, and apartments with all bills paid. RentLingo is your trusted apartment finder in Roseville. We hire local experts, such as former property managers and locators to anonymously tour and consistently rate and review every available place. They share their honest and unbiased perspective with you, so you know how every rental ranks in the area. Because our experts tour every property, we can offer consistent apartment ratings across every region. So unlike finding a Backpage or Craigslist rental, you can trust these apartments are verified and trustworthy: whether it's a cheap studio or a one bedroom with all utilities paid all the way up to a nice house for rent or a luxury condo.